Auto Ship & Earn + 161 Points What's this? 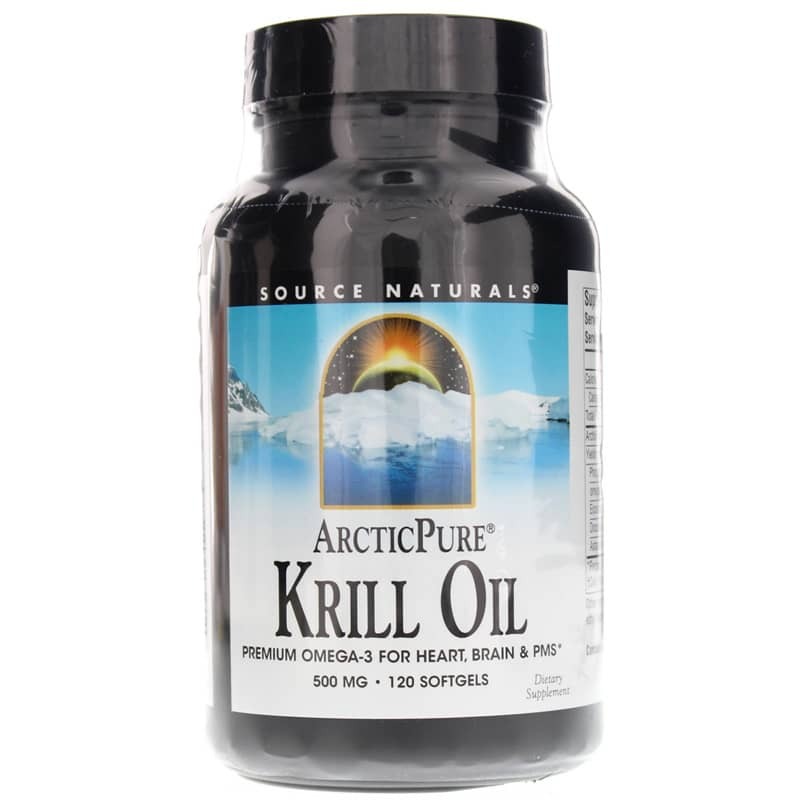 Arctic Pure Krill Oil from Source Naturals is a , more easily absorbed source of vital Omega-3 fatty acids, EPA and DHA, rich in the antioxidant astaxanthin. Krill oil supports brain, heart, immune and joint health and may ease symptoms of PMS. Like fish oil, krill oil is rich in EPA and DHA, omega-3 fatty acids. 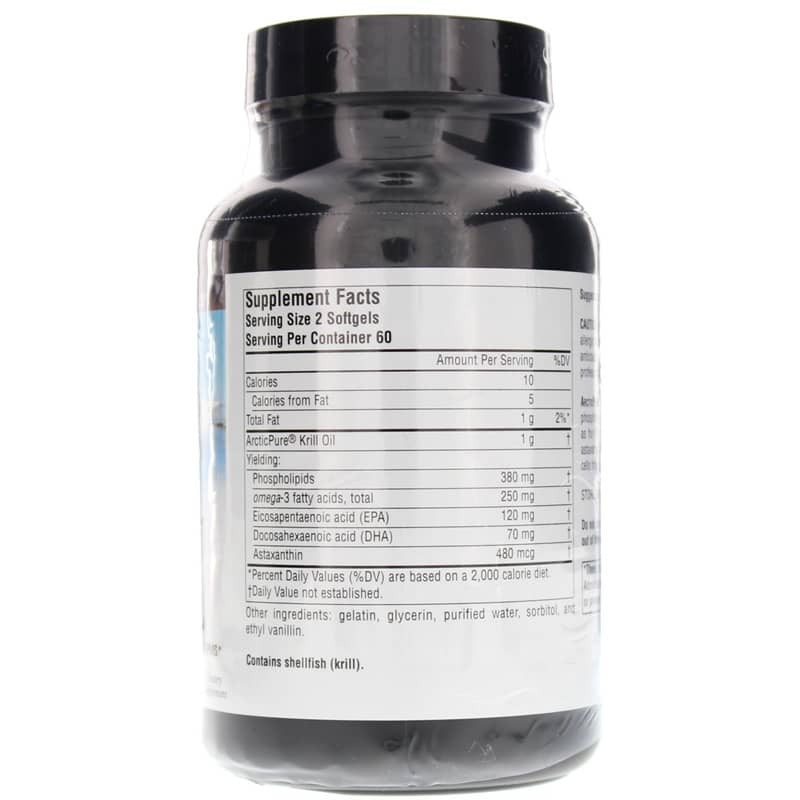 However, krill oil contains these fats in phospholipid form, so they may be more quickly and easily absorbed by the body than those in fish oil. The phospholipids and other specific benefical properties in this krill oil can help ease symptoms of PMS. Other Ingredients: gelatin, glycerin, purified water, sorbitol and ethyl vanillin. Contains shellfish (krill). 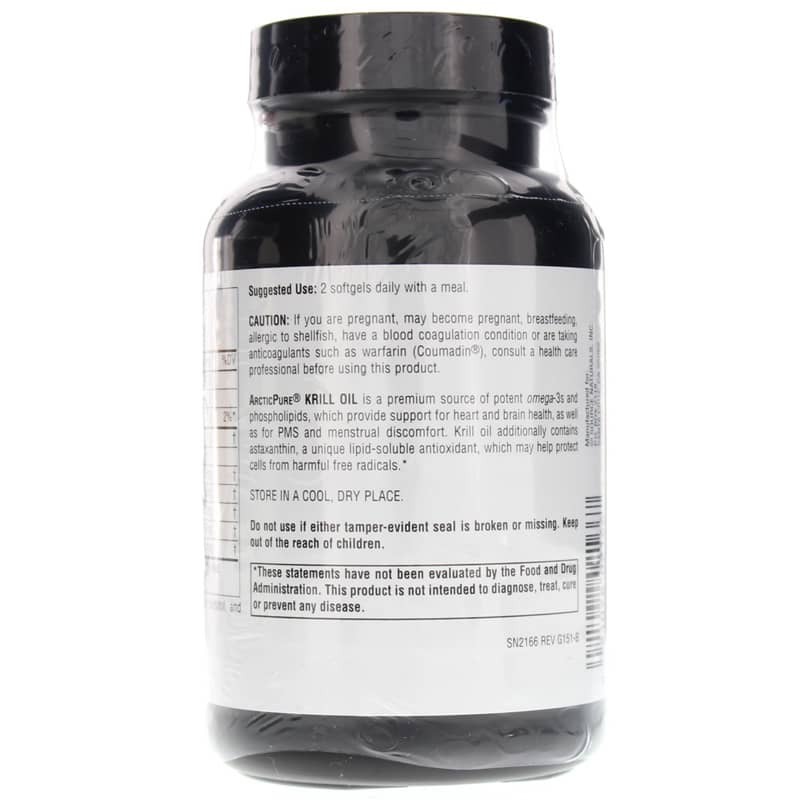 Adults: 2 softgels daily with the first meal for 30 days, then 1 softgel daily thereafter. If you are pregnant, may become pregnant, breastfeeding, allergic to shellfish, have a blood coagulation condition or are taking anticoagulants such as warfarin (Coumadin(R)), consult a healthcare professional before using this product. Do not use if either tamper-evident seal is broken or missing. Keep out of the reach of children.